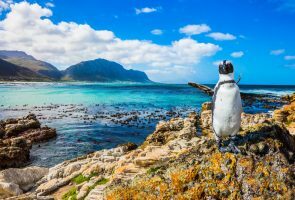 The insider advice on this page is from one of Wendy’s Trusted Travel Experts for South Africa: Julian Harrison of Premier Tours. 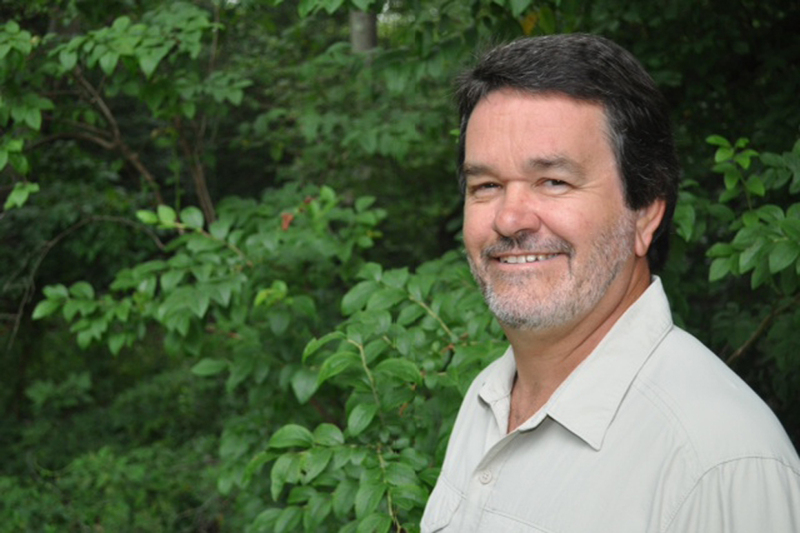 Fluent in Afrikaans and Zulu, Julian was born and raised in South Africa, where he spent the early part of his career establishing his safari bona fides by working as a ranger in KwaZulu-Natal and cohosting a weekly radio program about wildlife conservation. Later, he co-authored Fodor’s African Safari, giving him the chance to show off his extensive knowledge of every park, lodge, and safari camp in southern Africa. He knows exactly where to go—and when to go—to make the most of your time and money, and takes great pleasure in introducing his clients to the lesser-known corners of the continent, such as the wilds of the Congo rain forest (“The Jungle Book come to life,” as he calls it). 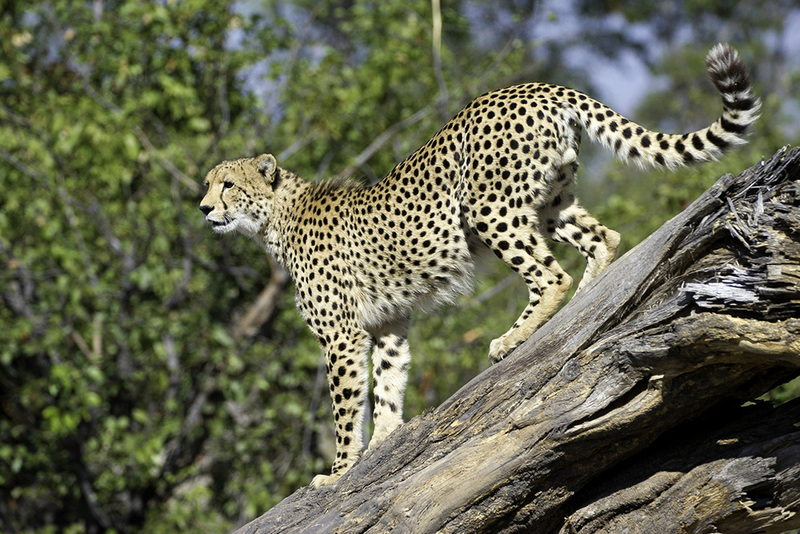 Trips for two travelers start at $800 per day in South Africa and $1,800 per day in Botswana. Kensington Place. It’s a delightful, stylish B&B on the slopes of Table Mountain with just eight rooms, and each one has a marble bath, a private terrace, and artwork by mostly South African artists. Plus, the owner and his staff have pull at many of Cape Town’s best restaurants, so they can help with reservations and recommendations. In Cape Town: Black Sheep. Choose from a small menu of comfort food or more adventurous blackboard specials. Once things are erased from the board they’re gone for the day, so come early to avoid disappointment. Dishes are based on whatever’s in season locally, so the same thing rarely shows up twice—though if you can find five friends to share with, the seven-hour roast leg of lamb with fingerlings is always sublime. In Cape Town: Millers Thumb. This is one of those rare gems where locals and travelers have been returning for more of its magic for decades. Come for a casual atmosphere, delicious food, and a twist on the usual favorites. The Moroccan kingklip—a kind of eel that is prepared with lemon, cumin, clove, and cinnamon—is amazing. In Franschhoek: La Petite Ferme is on a small family-run wine estate with two stunning views: Look down to see the vineyards in the valley below, and up for mountain vistas. The laid-back vibe lends itself to long, lazy lunches with a great bottle of wine and a dish I never forget: the slow-cooked lamb. If you’re interested, I can arrange a behind-the-scenes tour of the winery for before or after lunch. In Cape Town: Dinner at the slick, contemporary Test Kitchen comes with a show: The open kitchen allows diners to watch the chefs at work. The restaurant’s goal is to provide an “explosion of taste in every bite” by placing heavy emphasis on unusual flavors, texture, and presentation. Incredibly friendly and knowledgable waiters will go to great lengths to explain each dish in detail; get the five-course menu with wine pairings. The Chefs Warehouse at Maison is an eclectic, tapas-style restaurant where diners sit at communal tables surrounded by shelves filled with spices, condiments, and cookware. The fixed menu of eight dishes is decided daily but typically consists of a fusion of Asian, Middle Eastern, and Indian flavors. Babel Restaurant is housed in an old cow shed with a wonderful mix of Cape Dutch architecture and glassed walls. The chef operates under a farm-to-fork philosophy and only serves the freshest ingredients grown in the garden based on seasonality. Depending on weather, you can dine inside or under the shade of large trees in the courtyard. Cape Malay chicken curry. Milder than Indian curries, this dish is fruity and full-bodied, thanks to a blend of sweet and pungent spices such as cloves, cardamom, and fennel. Try it in one of the many Cape Malay restaurants in Cape Town’s historic Bo-Kaap neighborhood, where the cobblestoned streets are lined with candy-colored buildings. Victoria and Alfred Waterfront in Cape Town. Photo courtesy South Africa Tourism. The Zeitz Museum of Contemporary Art Africa (Zeitz MOCAA) collects, preserves, researches, and exhibits 21st-century art from all across Africa in an effort to expand intercultural understanding. The village of Paarl. See the well-preserved Cape Dutch architecture in the town (the largest in the winelands, about 40 miles from Cape Town), and explore the wine estates around the village. Woodstock’s Old Biscuit Mill on Saturdays. Over 100 farmers, bakers, grocers, fishmongers, butchers, craft-beer-brewers and chefs set up at this market each week. The cruise to Seal Island. It’s very touristy. Cape Town’s Kirstenbosch Botanical Garden. In this spectacular garden on the slopes of Table Mountain, a curved steel-and-timber walkway winds its way through the canopies of the arboretum’s trees; you’ll start in the forest floor and rise through the trees before bursting out above the canopies, where you’ll have views of the surrounding mountains and flats. A Cape Malay cooking experience in a local home in Bo-Kaap. Getting your hands dirty with Cape Town natives—in their home, no less—will make the Cape Malay curry you prepare together all the more delicious. You’ll eat it around your hosts’ dinner table, and you might end the evening with some new friends in Cape Town. View from Chapmans Peak. Photo courtesy South Africa Tourism. 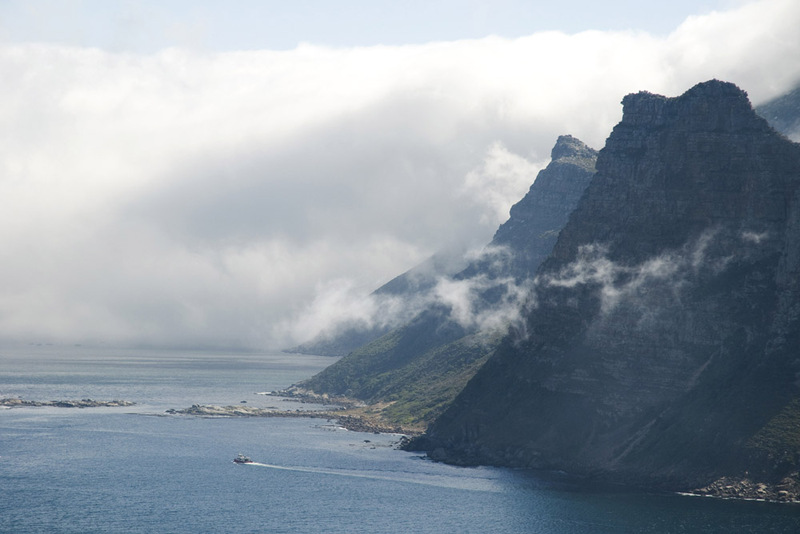 The drive to Chapman’s Peak, affectionately known as “Chappies,” is a must: The mountain is on a beautiful peninsula, and on the hour-long drive there from Hout Bay you’ll see sheer drops to the sea, towering mountains rising above you, and endless twists and curves in the road. Stop for a picnic at one of the many spots along the route. In summer, there’s nothing better than an al fresco lunch at Boschendal Wine Estate. Collect one of their pre-made picnic baskets—packed with pates, cold meats, salad, cheese, crackers, baguettes and chilled wine—and feast on tables and chairs set under lofty, fragrant pine trees between the vineyards. February to May: The weather is good, with temps in the 60s and 70s, and the packs of tourists don’t arrive until June (between June and November is the peak safari season). June and July: It can be cold and sometimes rainy, but for whale watching and shark-cage diving, this is the best time of year. 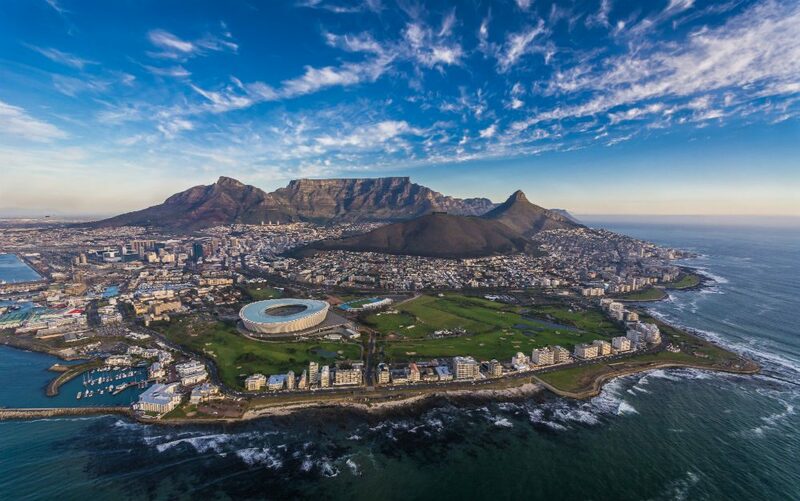 September to November: This is springtime, so Cape Town warms up, and its many gardens are in full bloom. Late December. In the two weeks between Christmas and New Year’s Eve, the city is overcrowded. Traffic and restaurant reservations are a nightmare. 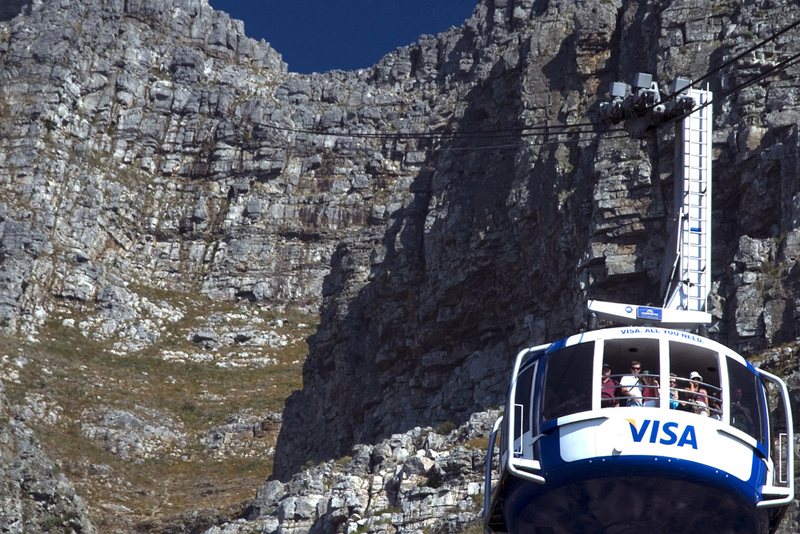 Planning to take the cable car to Table Mountain in the afternoon. Around midday, a low cloud (nicknamed the Table Cloth) rolls in, covering the mountain and halting cable-car service. African art and sculptures from Cape Town’s Greenmarket Square, a flea market that sets up every day except Sunday on the business district’s cobblestoned streets. To avoid credit-card fraud in restaurants and shops, insist that the clerk or waiter use a handheld credit card machine and put the transaction through in your presence. Cape Town Travel by Pangea Guides contains detailed information on attractions and neighborhoods and helps you find your way using an offline map. Cape Town City Guide is a TripAdvisor app chockablock with restaurants, attractions, hotels, and reviews that are are available offline. Tipping in South Africa is based on good service and is not considered mandatory. You’re okay with 10 to 12 percent in restaurants.